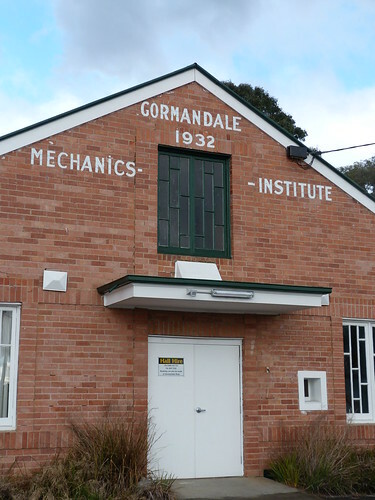 According to the foundation stone of the Gormandale Mechanics Institute hall in the Latrobe Valley laid by Mrs E Power on 15 Mar 1932, this fine building was designed by architect AC Leith and constructed by JW Pinnock. 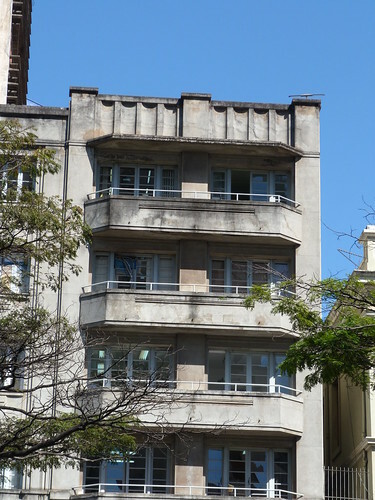 I love the curved wrap-around balconies on this apartment block in Montevideo. 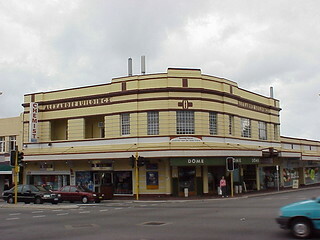 According to Mouth Lawley - A Brief History of the Suburb, this building on the corner of Beaufort & Walcott Streets were originally built by architect, Simon Alexander, in 1911 and was known as the Broadway Building. 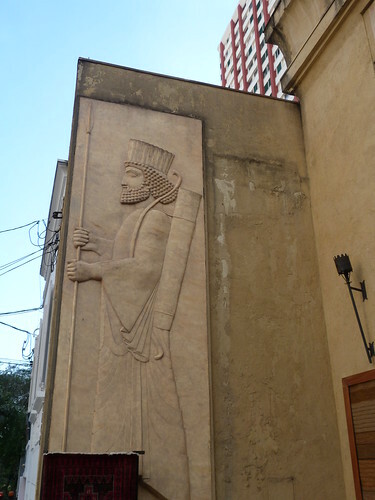 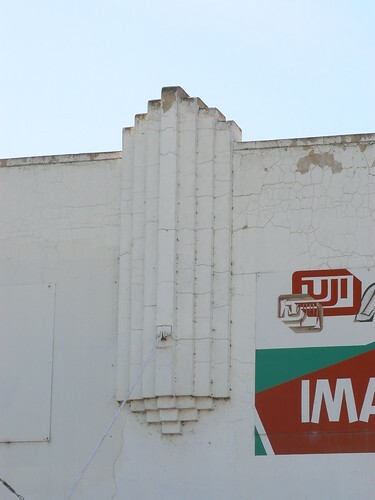 Simon's son, John, put an Art Deco façade on the structure in 1938 and it now bears the name Alexander Buildings. 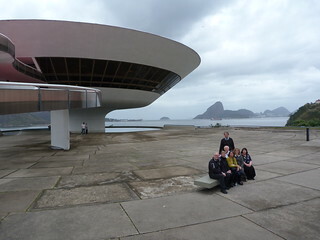 During our time in Rio we were lucky to visit a fabulous Art Deco house on the suburb of Urca. 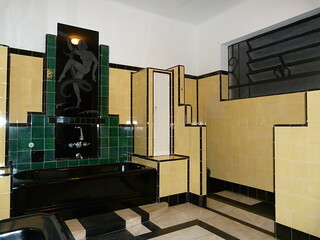 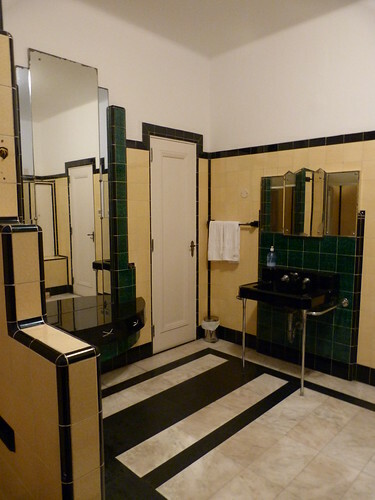 This is the bathroom. 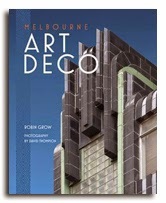 It isn't deco! 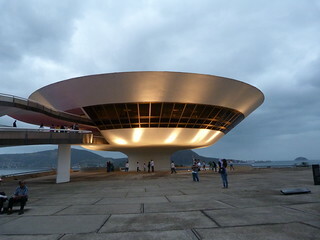 It isn't even old, just over 20 years, but it is one of the most amazing buildings in the world. 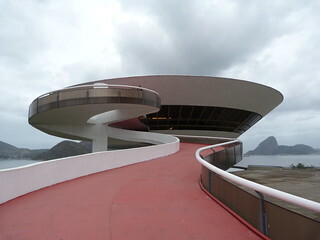 Oscar Niemeyer's Museu de Arte Contemporânea de Niterói (MAC). 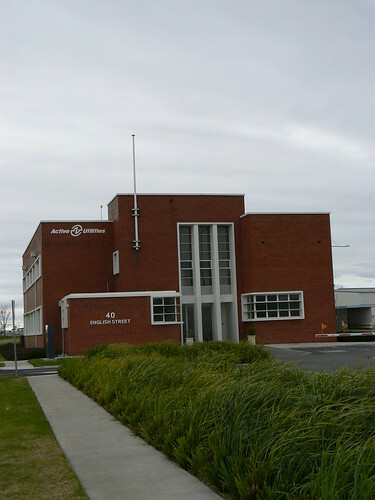 This is a lovely little Art Deco building at Essendon Airport. 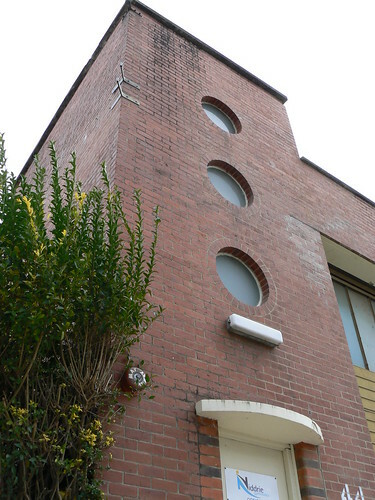 Three vertically arranged porthole windows punctuated with a small eyebrow ledge with another slightly larger rounded one above the door. 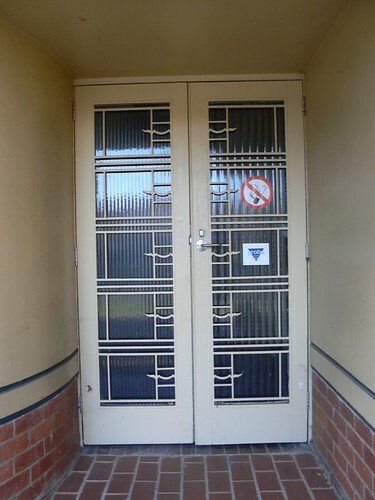 Notice also the use of different coloured bricks to provide decoration around the entrance. 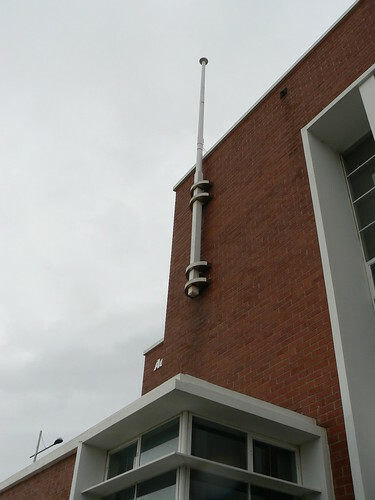 Finally, it appears the brackets from a flagpole remain on the corner of the building but the flagpole is long gone. 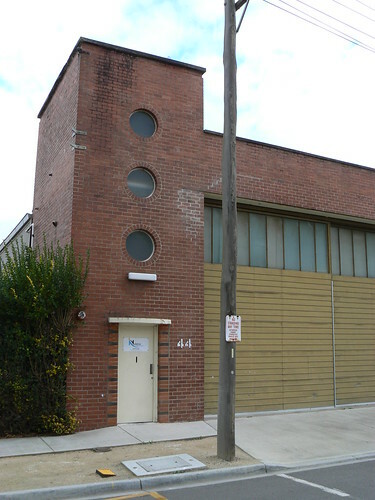 A great little deco office building at Essendon Airport. 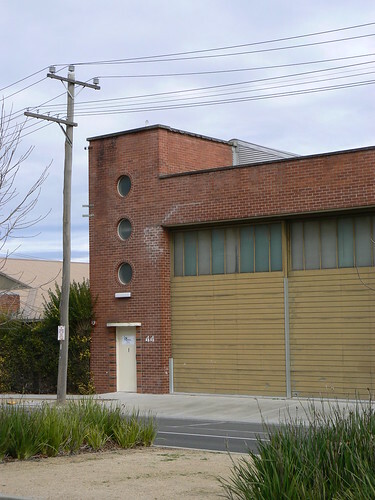 I particularily like the way the windows cut through the corners on the on the blocks framing the entrance. 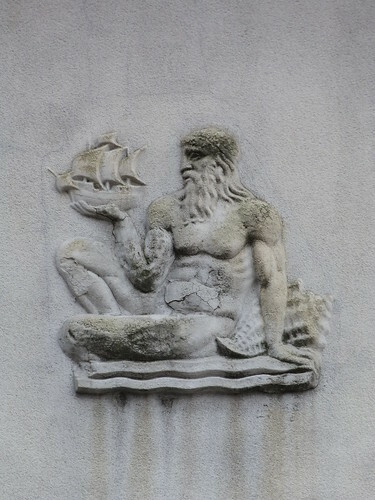 Spotted this interesting building near our hotel. 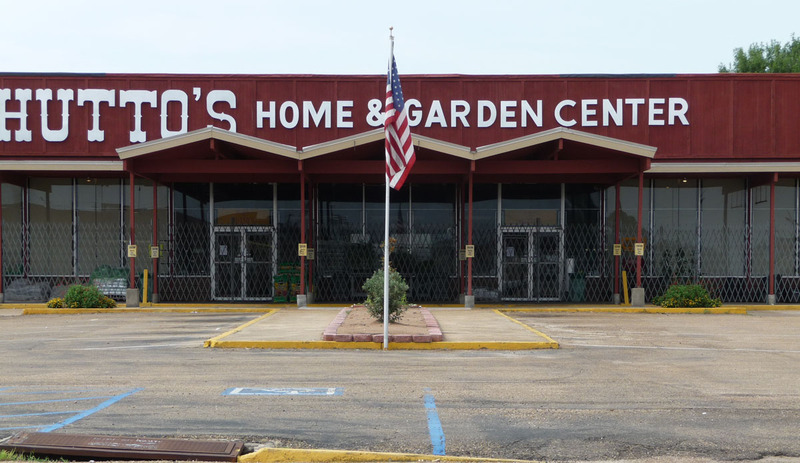 It seemed to be selling rugs. 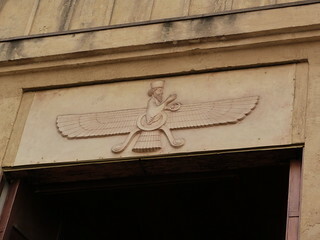 Of course it was the Assyrian style decoration that attracted my attention. 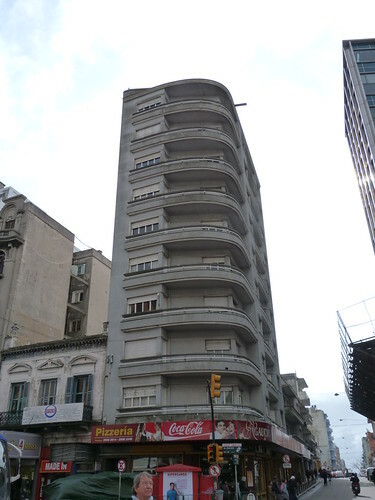 This looks like a fairly plain building in Montevideo's main street, Av 18 d Julio, but even plain buildings in Montevideo have something to offer. 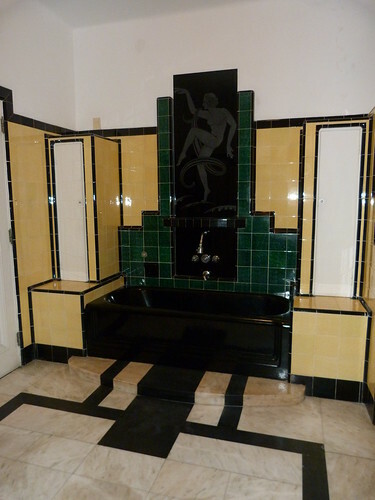 This one has reliefs of sitting figures. 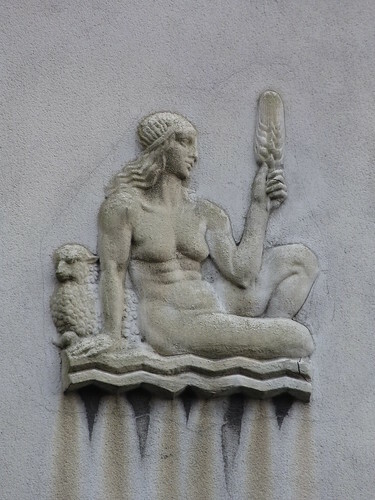 A male figure with a sailing ship and a seashell and a female figure with a sheep and a feather. 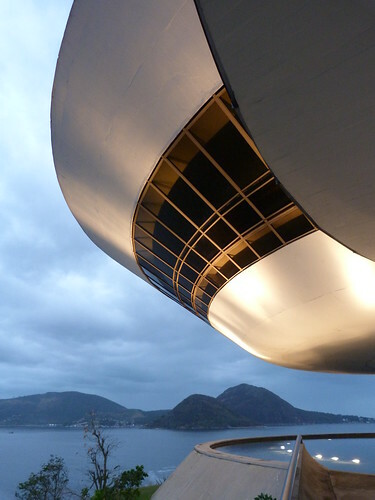 During the 11th World Congress on Art Deco in Rio de Janeiro many of our bus trips went through the Engineer Coelho Cintra tunnel that links Copacabana and Botafogo. 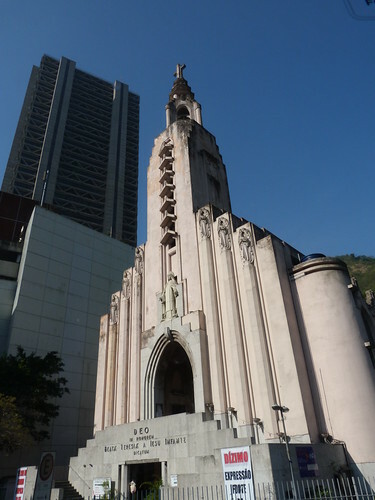 Each time we would see a lovely deco church at the Botafogo end and then one day the bus was caught in traffic and I was able to snap this picture. 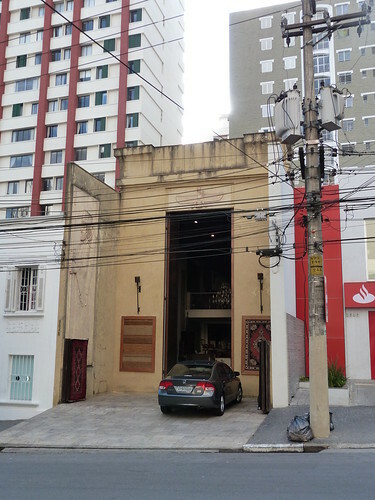 From what I can see it is called the Igreja de Santa Teresinha do Túnel Novo or the church of Little St Thresea of the New Tunnel. 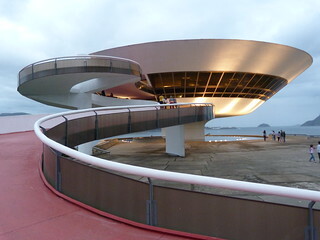 I've been reading about this amazing school in Belo Horizonte (BH) all night. 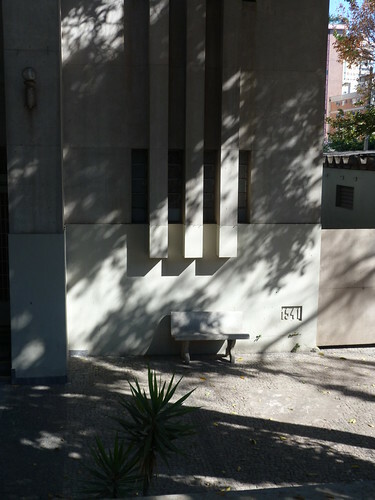 Haltingly in Portuguese but also, thankfully, in English. 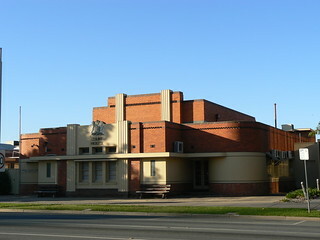 It was founded by Methodist missionary Martha Watts in 1904 serving as a primary school for girls. 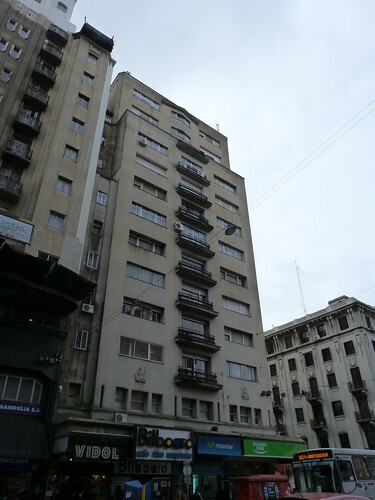 Martha had previously set up Methodist schools in São Paulo, Porto Alegre and Juiz de Fora. 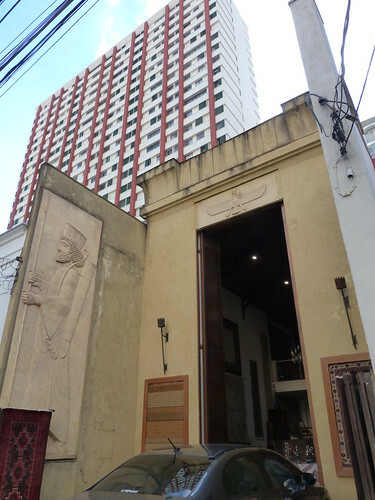 Her mission was to establish a school for Brazilian women with the help of resources of American women. 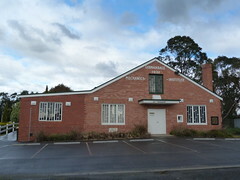 It appears that that the school was named after Isabella Hendrix who along with husband Adam Hendrix was involved with founding of the Central Methodist College in Fayette, Missouri in the 1840s. 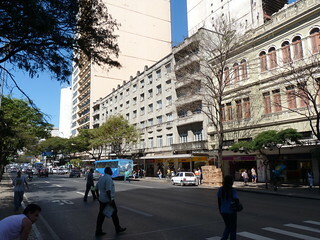 In 1929 the school bought some land on the rua da Bahia to establish the Praça da Liberdade campus. 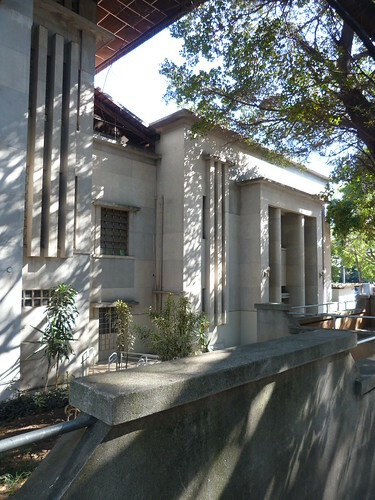 It was designed by architect Raffaello Berti and having been approved in November 1937, the new college was inaugurated in 1939. 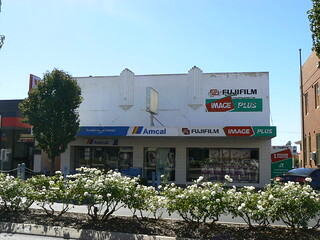 That's where I took these photos. 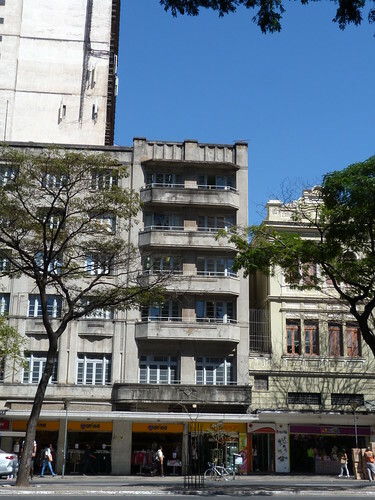 In 1941, approval was given for a theatre to be built on the site of the casa da chácara (the house where the previous owners of the land had lived. 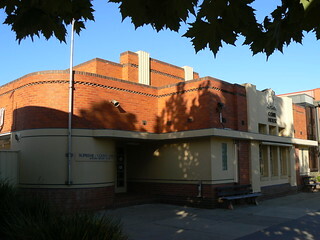 The school had been using the house up until that time. 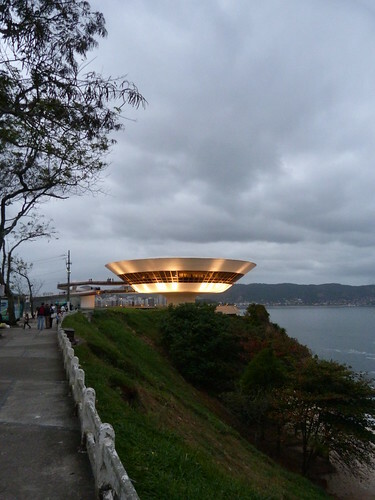 It was designed by Luís Pinto Coelho and sitting alongside the main college building it appears to be a single contiguous design. 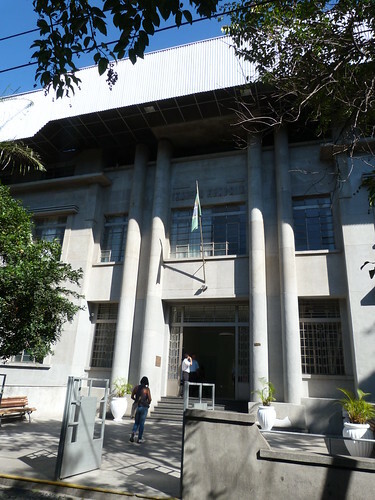 Today, the college forms part of the Centro Universitário Metodista Izabela Hendrix with a second campus, Venda Nova Campus, in Avenida Dr. Álvaro Camargos also in BH. 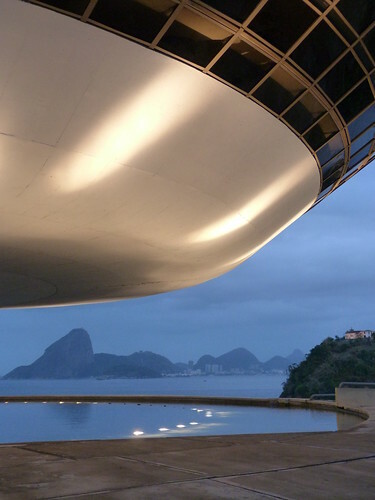 This is the Palácio da Alvorada, the official residence of the President of Brazil. 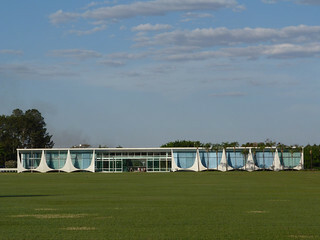 It was designed by Modernist master Oscar Niemeyer and was the first government building constructed in Brasília during 1957-58. 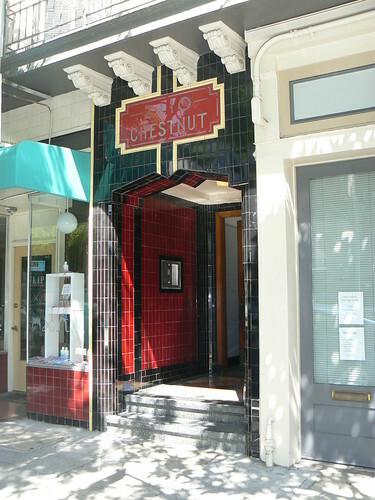 A great looking tiled Art Deco doorway at 2410 Chestnut Street in the San Francisco suburb of Marina. 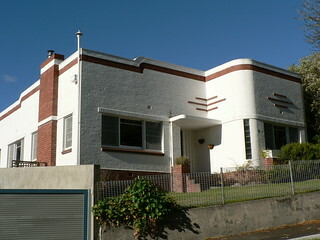 A lovely little deco house on the outskirts of Hobart.